Constructed in 1930 in Zig-Zag Moderne style, the Helms Building continues to play an important role in Culver City history. 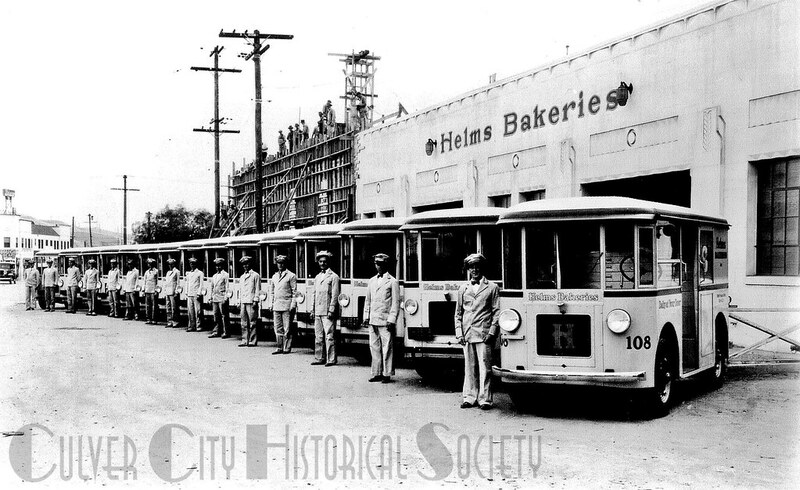 It housed the Helms Bakery until 1969, a family-owned business founded by Paul Helms. It was known as the “the home of Helms Olympic Bread,” since it was a food supplier to the nearby Olympic Village for the 1932 Olympics in Los Angeles. 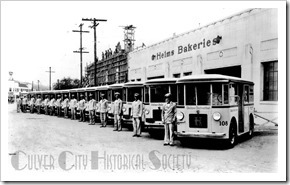 Locals still reminisce about listening for the whistle of more than 1000 Helms “Coaches,” as the vehicles traversed Southern California with their fresh baked goods. The building remains an important commercial structure and although it is located in the cities of Culver City and Los Angeles, it was awarded landmark status by the City of Culver City.